Sorters at the GreenWaste Materials Recovery Facility pull bulky items from the flow of recyclables. 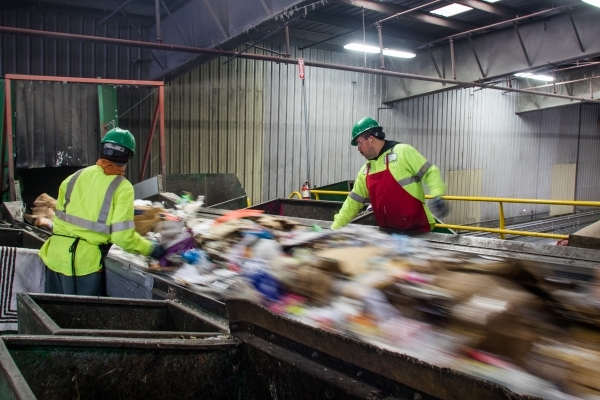 The facility sorts 18,000-19,000 tons of recyclables per year. Photo by Veronica Weber.